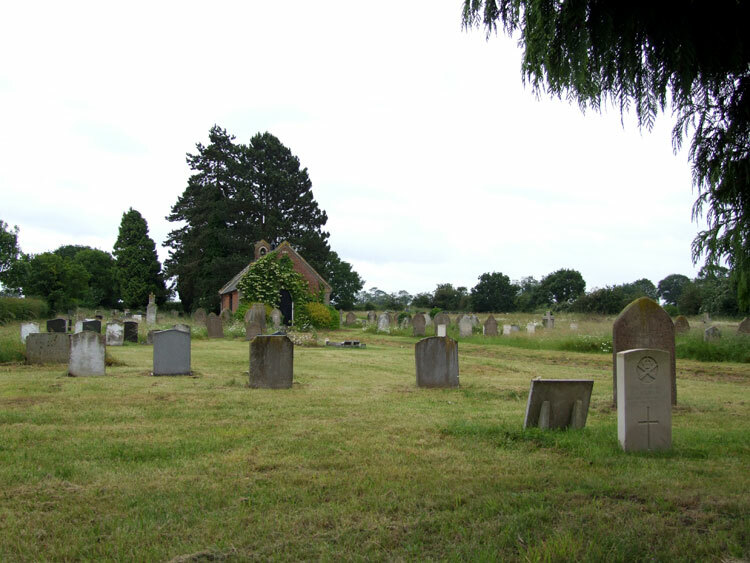 East Harling Cemetery contains 9Commonwealth War Graves, - all but one of which are from the First World War. One of the graves is that of a soldier who served with the Yorkshire Regiment. We are very grateful to Richard Roberts (<richard.nsw@googlemail.com>) for providing the photographs of the headstone and the cemetery. Machine Gun Corps (Infantry), formerly 20565 the Yorkshire Regiment. 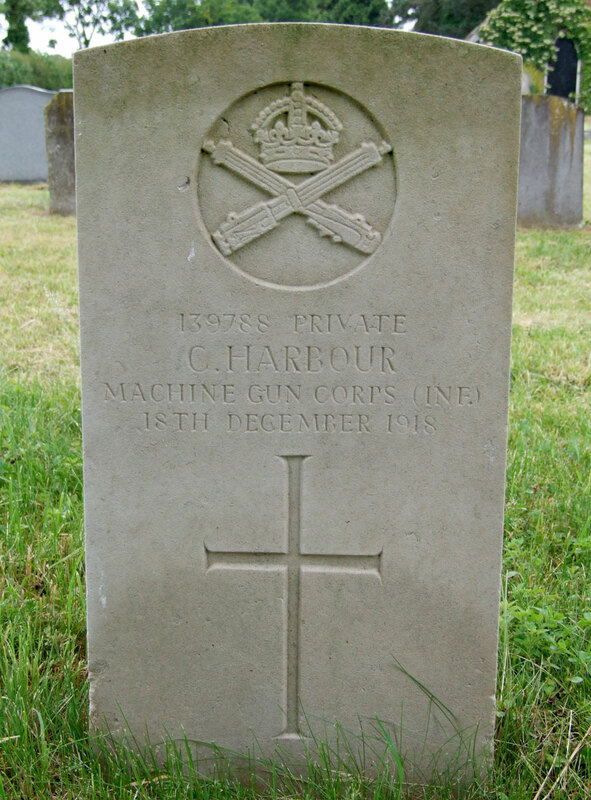 Died at home 18 December 1918. Born East Harling (Norfolk), Enlisted Beverley. (The forename "Clemence" is also spelled "Clemance" and "Clemant" in some records. - namely his father James, mother Ellen, his son Sidney and Sidney's wife, Majorie. 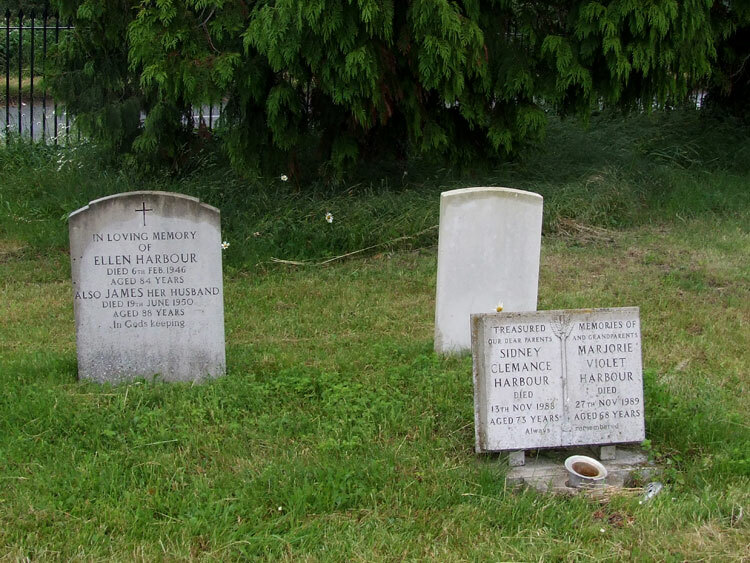 Information on Clemence Harbour was provided by Sue Hartga (<sue.hartga@ntlworld.com>), a grand-daughter of Susanna Carter, the wife of Clemence Harbour who remarried after his death, - her second husband being Charles Carter.